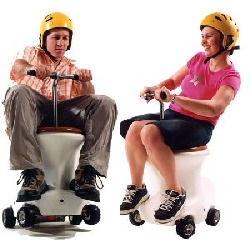 Two opponents race on these battery powered toilet racers in an attempt to see who is the winner. Set of 2 racers. For events longer than 4 hrs, two sets of racers are required.